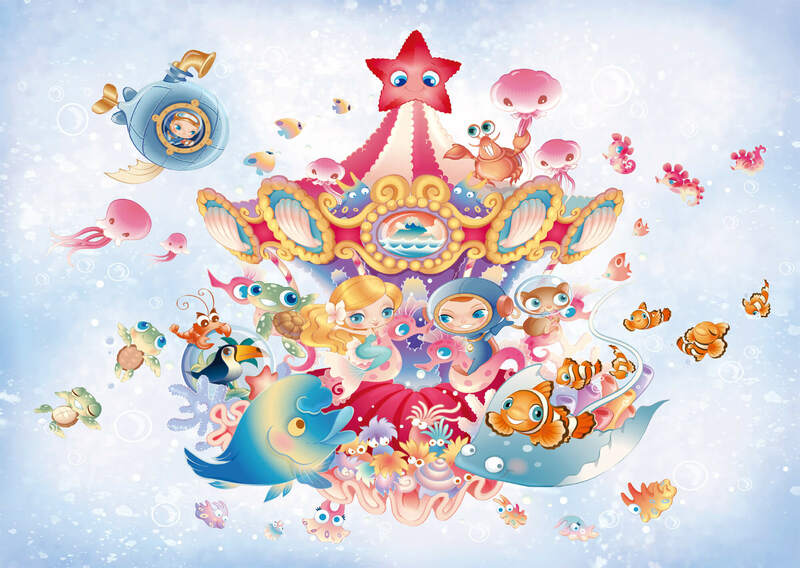 Children will love this colorful nautical themed fantasy scene wall mural. A Boy and a Girl are surrounded by magical sea creatures in this imaginative fantasy scene. Each of our wall murals gives you an expansive view that'll make you feel as though you've traveled miles and found the serenity of the great outdoors. All wallpaper murals come in separate, easy to install panels. This mural consists of 8 numbered panels. Simply mix the enclosed paste with water and brush it onto the panels. Apply the panels one at a time to assemble this beautiful wall mural. Install by simply pasting and smoothing like wallpaper. 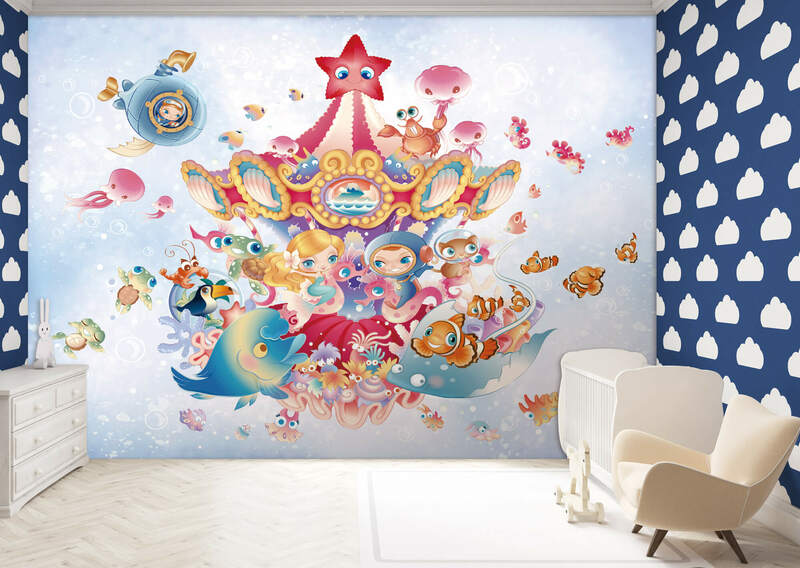 Whether they are scenic or whimsical, wall murals and wallpaper murals can add drama and interest to any room in your home or office! Our highly detailed wall murals emphasize this illusion by using digital imaging and artistic lithographic printing. 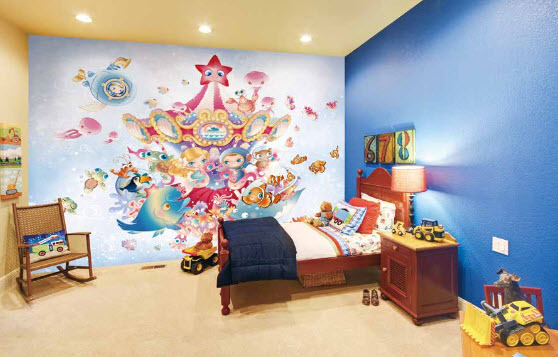 Wall murals have become the most popular and affordable way to decorate. As a major wallpaper retailer, our purchasing power allows us to pass on up to 85% savings.